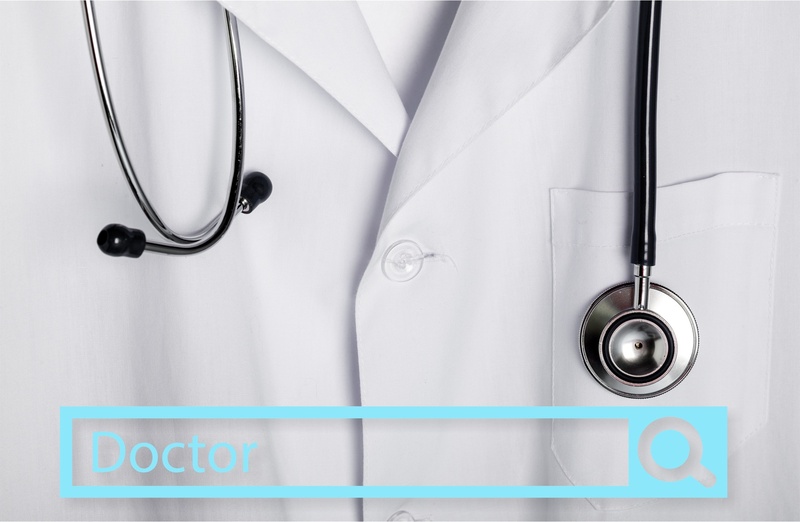 Are you using medical SEO to reach out to and retain patients? There’s more to it than being found on google. It’s also about trust. We’re sharing how here. Let’s be realistic. Building a website nowadays is not enough. Just being present online won’t bring you more customers. Using the Internet to grow your business comes with responsibilities and a number of tools you have to master if you really want to succeed: Medical SEO, sitemaps, a medical blog and more. However, it is your lucky day because we’ve got you covered. Just take a look at the guide below and get ready for some serious success. Before you start reading the techniques and the ways you can make your website more popular with organic visitors, you have some homework to do. As mentioned above, being present is not enough. So, the first thing you want to do is to make sure you familiarize yourself with some tools and terms involved with Internet marketing. Make sure you put this simple code in your website’s header to monitor what content pulls more traffic. Collect the data, analyze them, and keep creating more content based on what your audience needs. This is a tool many professionals forget to use. Creating a sitemap will help search engines navigate through your website and deliver the right content to the right person. Free sitemap generators out there that will get the job done for you. Get to study more about headings, keyword density, external and internal linking, and image optimization to improve your Google ranking. Another important thing to include in your TO-STUDY list. Metadata (such as meta titles and meta descriptions) help search engines understand more quickly what your website is all about. Yes, the also help you rank higher. We know all these might sound like a lot, but it is just some important stuff worth studying. After all, you know what a patient suffers from just by listening to their symptoms. Do you really believe you will not be able to master the medical SEO techniques? Don’t you just love this word? It is a clear word that describes what search engines are actually looking for: keywords. Words that help your website shine. The process is quite simple. Create a list of words you believe people use while searching for medical services. Ask for some help both from your colleagues and from everyday people who use the Internet to look for healthcare related content. After you have created your list, test each keyword on Google Keyword Planner and focus on the ones that gather more than 400 monthly searches. Boom! You now have your main focus areas. Now, all you have to do is include these keywords on your website. But be careful. You don’t want to overdo it. Keyword stuffing is a common SEO mistake you want to avoid. A perfect idea to target your keywords of choice is a blog. The Internet is full of content. Text, images, videos, blogs. Our virtual world is packed with information the world keeps searching for. Be one of those information providers. Writing blog posts about your area of expertise does not only help you establish yourself as an authority, but will also help you target the keywords that best describe your business. Create articles about your profession and write about all the things a patient might be looking for. Your content must not only be original but serve a purpose as well. So, a quick way to start gaining more traffic is by writing about symptoms and what they might mean, or you can help them with a “How-To” blog post. Whatever you do, don’t forget to include a “call-to-action” and ask your audience to contact you for more information. Remind them you are just a call and an appointment away. You know YouTube, right? Everybody does. Upload some videos on there and embed them in your website to deliver more content to your audience in a more simplified way. Videos are still getting bigger and the fact that Google bought YouTube ten years ago, perfectly explains why they will help your SEO ranking. Don’t be afraid to show your face, your staff, or even feature some of your patients’ testimonials. There is a lot of suspicion between the healthcare industry and the Internet. Showing what your organization is all about, will help you stand out and gain more reliability. It might be your office, your team, moments of some of your most important achievements. Whatever it is, a picture is worth a thousand words. Make sure your audience hears every single one of them. The easiest way to explain something to someone who is not familiar with your profession is by using slideshows. They are easy to understand, easy to digest, and, most importantly, easy to create. Create one or two slideshows via Slideshare, optimize them for the web, and explain complex, scientific pieces of information in simple, everyday words. Sure, you want to spread the knowledge. Sure, you want to help people remotely. But at the end of the day, the ultimate goal is to make these people come to you when they need your help. Focusing on local marketing will both give you a ranking boost and help people find you when they are actually looking for medical services. Include your physical address and your phone numbers in your website, your Facebook Page, Foursquare, and Google Plus. This way search engines will associate you with a standard location, and they will help you climb to the top of their search results. For more information about our services, make sure you visit our contact page, and we will help you create a plan that will grow your business in an instant.